There are many items around the house that you can use to make wind chimes, from old garden tools to silverware. 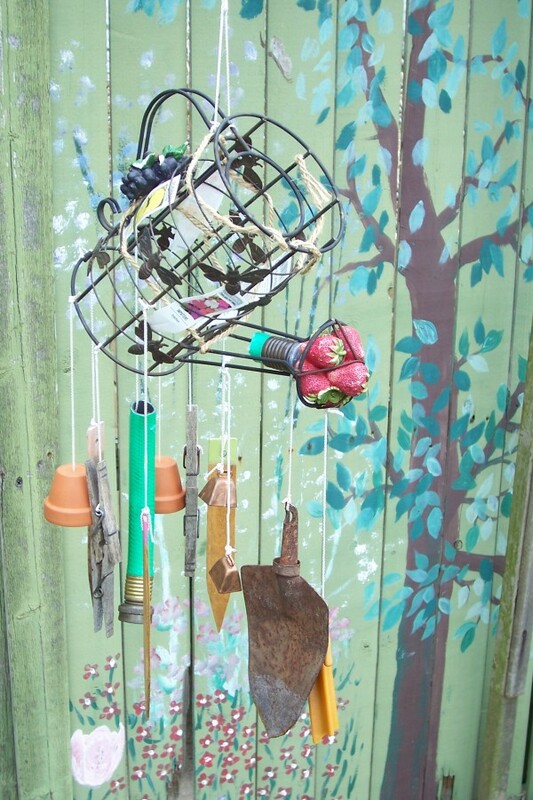 Get ideas for how to make recycled garden wind chimes in this guide. 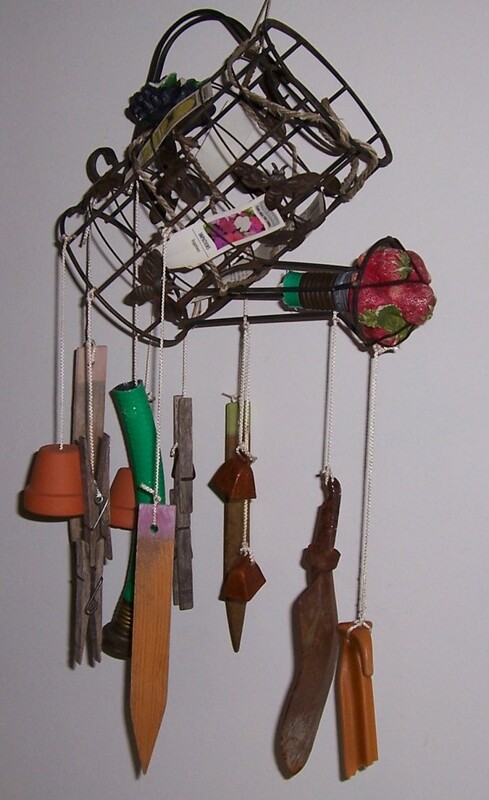 Left over garden tools hanging from a garden decor candle holder. It probably didn't take me an hour to make this but searching for the pieces and figuring out how to place them did. Fun to make, but oh boy, what a mess to untangle after a very windy day! If it gets tangled when it's really windy then your twine is too long, mine are only 6-8 inches.